Sulzer is the expert not only when it comes to supplying your equipment, but also when it comes to supporting it throughout its life cycle with over 140 years experience. Downtime caused by blockages and breakdowns are minimized due to our pumps excellent rag handling but should a breakdown occur, we are available 24/7 to reduce downtime. 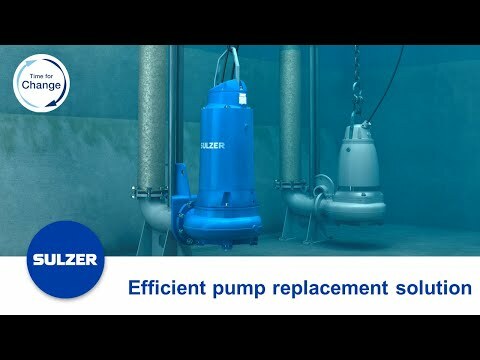 Watch how easy a wastewater pump in a pumping station can be changed, thanks to Sulzer’s most recent pump adapter. Sulzer offers a range of progressing cavity pumps for demanding positive displacement process applications. Our pumps provide a near constant flow rate and suction lift capability for handling wastewater sludge, slurries, viscous and shear thinning non-Newtonian fluids.